Since our inception, in 1965, Spectrachem has been an acclaimed manufacturer of colorants and chemicals used in the textile industry. Through fostering long standing relationships with our customers and adapting to shifts in production from domestic to international Spectrachem has remained a leading supplier. Spectrachem is proud of our roots in the U.S. textile industry and remains committed to supplying quality products for years to come. Our pigment dispersions, pearlescent / glitter effects products, and clears & auxiliaries are used throughout North America as well as numerous foreign countries. 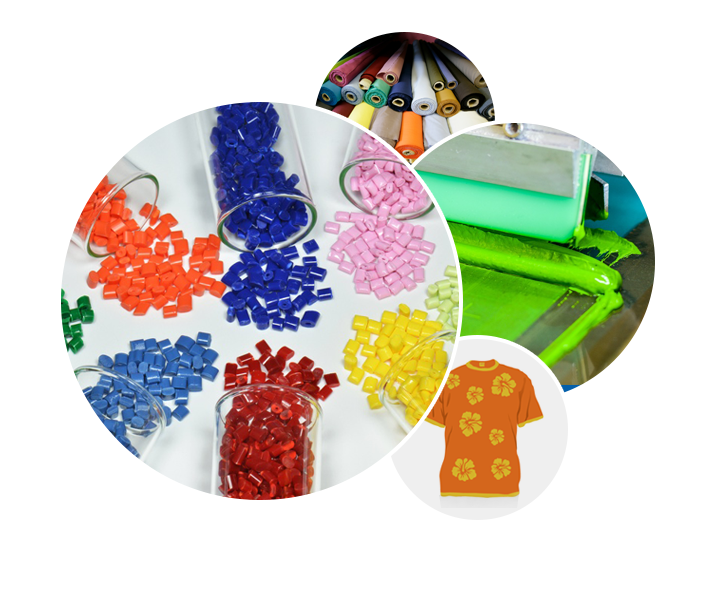 Our customer base ranges from large volume contract printers with 24 color rotary print machines to niche T-shirt printers with one screen press.